Collaboration is a great thing – when you’re doing it correctly. Collaboration is an important component of organizational innovation and the breaking down of silos between individuals and departments. This interdepartmental conversation across open concept offices is meant to ensure that the entire organization is aligned and you gain valuable perspectives from outside your own departmental bubble. Most organizations implement collaboration by involving multiple departments and team members at each stage of a project. This misconception is leading to collaboration fatigue, protracted processes, and to ultimately to subpar business outcomes. People do their best work when they’re allowed to do their work uninterrupted and an overabundance of meetings and working with vague goals and responsibilities can easily derail a project and also everyone’s productivity. A UC Irvine study shows that people spend an average of 11 minutes on a project before they’re interrupted, and that it takes on average 25 minutes to get back to where they were before a distraction. That’s a lot of potentially lost productivity if people are continually forced to stop their independent work. So what is collaboration if not constant meetings and check-ins? The best collaborative efforts are ones where a process workflow is well documented with team roles and responsibilities, and each team member can perform their function uninterrupted before passing it off to the next set of eyes. This way you get to utilize everyone’s expertise, without the problem of egos. You’ll only utilize the right person at the right time, get work done faster and still keep everyone on the same page. Audit your current social media production workflow, and document the entire process in writing. This should be every stage of content production, every handoff, and all team roles. As you do this, you’ll quickly discover where bottlenecks typically occur. Delays such as the ones listed above are no doubt common in your own day-to-day. The good news is that by defining a proper workflow, and choosing tools to help mitigate the use of emails and documents, you can avoid these delays and save hours per week. According to a survey by ClearCompany, 97% of employees and executives believe lack of alignment within a team impacts the outcome of a task or project. If your projects are not well delegated or your workflow not documented, what starts off as “too many cooks” at each stage of a project will devolve into a nuclear meltdown. Instead, make sure each member of your team knows exactly what is expected of them in writing. With this workflow in place everyone will be on the same page, and will be fully accountable for getting their portion of social media production done. If your social media workflow is being bogged down by sharing your content via emails, spreadsheets, screenshots or documents, it’s worth looking into a social media management solution such as HeyOrca. A proper social media management solution will allow you to send social media posts for review in the same location you draft and publish them, and keep track of edits and comments with an audit trail. This will save you hours a week in emails, and keep everyone accountable. Team members are alerted that it’s their time to jump in with notifications, and you can send posts to your clients easily. 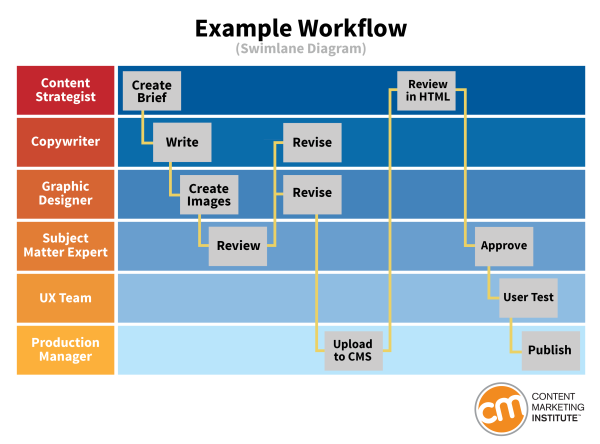 It’s no exaggeration to say that the right tool can completely revolutionize your content workflow practice. These suggestions are just the tip of the iceberg – better workflows are just one part of the picture when it comes to better operational efficiency and collaboration as a company. Joe Teo really can’t abide inefficiency. 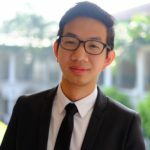 During an internship, he recognized the bottlenecks in how agencies collaborate on social media and share content with clients using spreadsheets and screenshots. He knew there was a better way, which led him to found HeyOrca, a social media workflow and publishing solution for agencies, with fellow Memorial University grad Sahand Seifi. Joe continues to be inspired by both the challenge and satisfaction of helping marketing teams around the world work smarter. In his spare time, he enjoys hiking the east coast trail in Newfoundland.